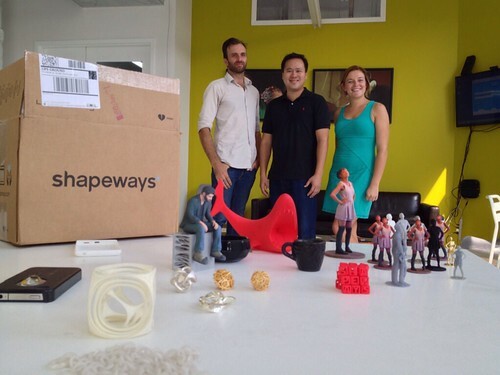 An assortment of 3D printed items, accompanied by Duann Scott (left), myself (center), and Savannah, (right) at the Shapeways 3D “Factory of the Future” in Queens, NYC. Behind us are rows of high-end 3D printers, polishing machines, designers, QA teams, and operations experts. Trying to configure, calibrate, and properly print a 3D object is a clunky experience. 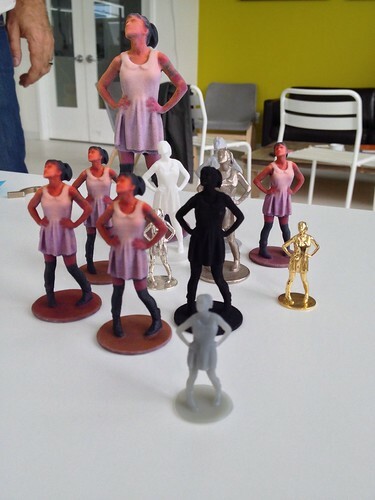 Fortunately, there are services that enable this: Meet Shapeways, a 3D factory available now for you. In my humble opinion, I’ve found that 3D printers for consumers need some time to mature. I’ve taken a class at TechShop to learn that the level of skill requires a hobbyist and tinkering capability. 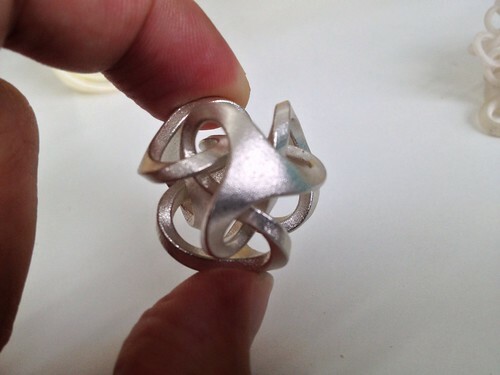 It’s not just “Press print.” To meet this need, and to print using high quality materials, Shapeways offers 3D printing services on demand, and ships your products to you. Yesterday, I had the opportunity to tour Shapeways “Factory of the Future” in Queens, NY, and got to see first-hand how they do this. They offer a variety of designers and artisans, who can custom design your products, or tools that enable you to customize existing products. Truly, the possibilities are limitless. With the capability to print in 35 different materials (and new ones coming), Shapeways has high-end, professional grade, 3D printers that can print in color, acrylic, and also polish and dye process to color your products. The impacts to business are potentially tremendous. One can print personalized goods for your own style. Items can be printed on-demand and delivered to you within days. They can also be printed at scale and replicated quickly by printing an entire batch. These resources aren’t limited to consumers alone. 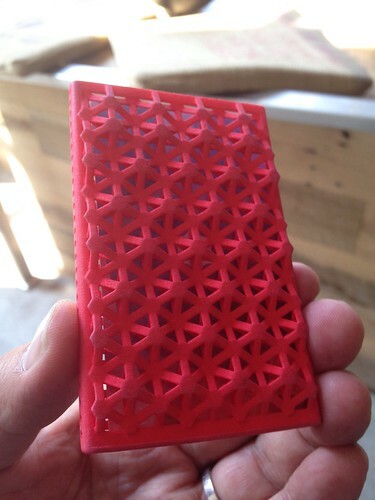 Progressive companies like Nokia have made their STL 3D printing files available to the 3D printing community, encouraging them to print out their own cases. Anyone can become a designer or manufacturer, without ever leaving home. 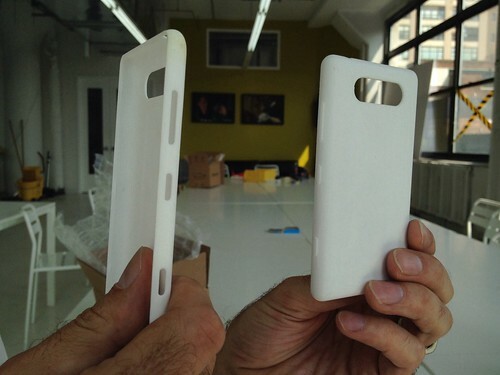 Rapid design and prototypes can be printed quickly. No need to configure large warehouses and supply chains. 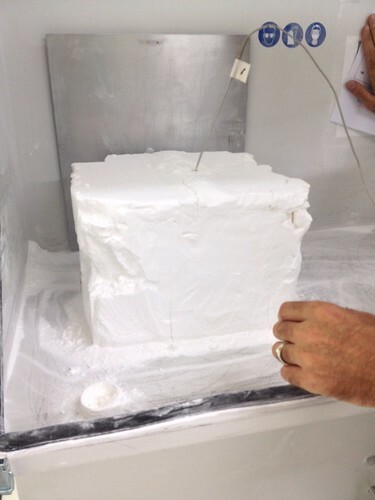 3D printers print quickly, on-demand. Print only what you need, reducing the costly overhead of warehouses and excess inventory. Customize and personalize for individuals, radically changing the game. Eventually, use recyclable or sustainable materials, preserving our resources. 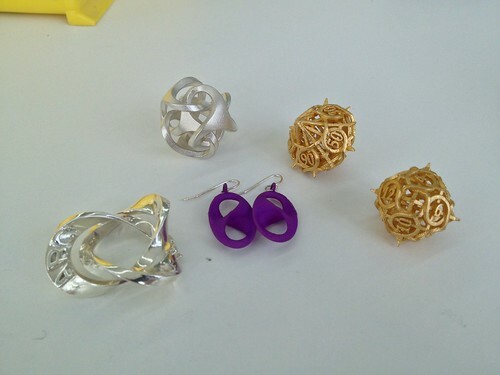 Below are some images, vine videos (Scroll over to see) and other examples of what I learned at the Shapeways factory tour. 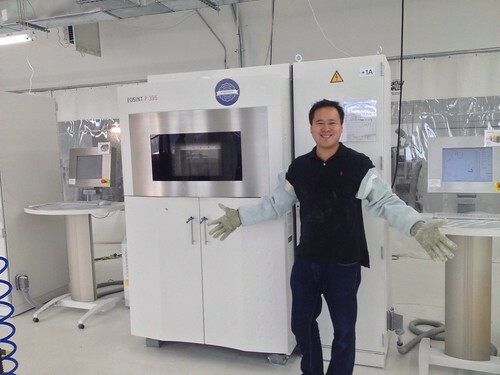 Above: To manage fresh off the printer 3D printed items, I gave my hands in front of this professional machine. The material was heated up near to melting point. 3D items are waiting to emerge. 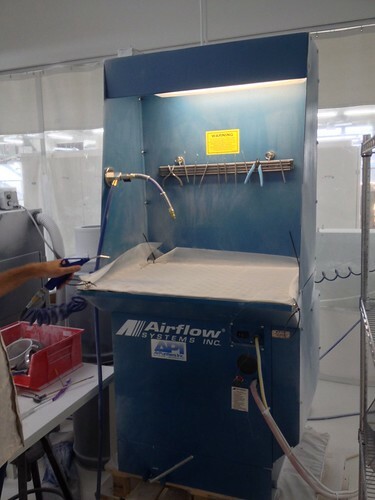 Above: Blowing off excess materials with compressed air, and ready for the polishing machine. 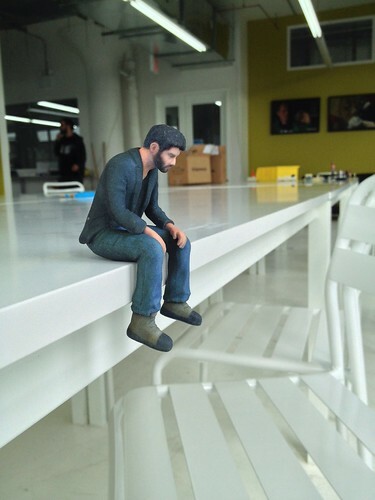 Above: Should you want to print out replicas of your loved ones, or even yourself, this is possible in many materials. Makers are using modified Xbox Kinnect modules, and placing individuals on rotating discs to quickly scan someone. Beat that TSA. Above: Intricate new designs, that are not been physically possible to create before, are now available, thanks to modern technology, this one being stainless steel. Above: While Shapeways can print in over 35 materials, I took a quick vine of some of the more popular materials. Above: Inspired by the life size Theo Jansen walking “Strandbeast”(see TED video) this was printed as two pieces, the walking leg part and then the propeller was printed and affixed on top. You can buy one, right now, for $100. Above: My graciously delightful host, Duann noticed I didn’t have a quality business card holder for my Crowd Companies cars, and presented me with this. Above: Savannah from Shapeways presented me with their “Business Card” a set of interlocking 3D cubes with the name of the company on front. You can quickly turn your company logo into a 3D item, using their website. Want to learn more about how big corporations can tap this movement? I’m starting a company to help with this. You can sign up here to get the details. Thanks to Tim McDonald, who connected us, making this possible, and Vivian Wang, who first told me about Shapeways many moons ago.